Mitzvah on Wheels aims to enable all members of our congregation to fully participate in temple life by eliminating transportation barriers. The Mitzvah on Wheels committee connects riders in need with drivers from our congregation. There are many reasons congregants may need a ride to temple services and other temple activities. Some members are older and others are working-age who have various disabilities or other reasons they can't drive or use public transportation. Mitzvah on Wheels is not just for those who can't drive, but also for those who may be uncomfortable driving at certain times, such as at night or in rush-hour traffic. 1. Call the temple office at 512-735-8900. Let temple staff know when you need a ride. Please call a few days in advance of the day you will need a ride. 2. Before the time of your requested ride, one of the members of the MOW committee will contact you to let you know if a ride has been arranged. You will receive the name of the volunteer driver and the driver's contact information. You and the driver will then arrange the time when you will be picked up for your ride to and from the temple. 1. Contact the temple office to be added to the volunteer-driver list. 2. When a congregant needs a ride, the coordinator will send an email to volunteer drivers in the appropriate zip code with any special needs of the member requesting a ride. 3. If you can give a ride, "reply all" to the group email. The coordinator will call you with further details, and other members receiving the email will know you have the ride covered. Thank you for fulfilling the mitzvah of helping one another! Mitzvah on Wheels is not an official Temple Beth Shalom program. It is a volunteer service that is provided to any member of the congregation by fellow congregant volunteers. Temple Beth Shalom does not make any assurances regarding this program. 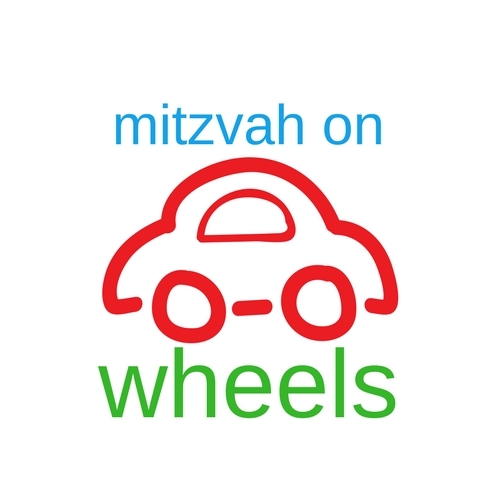 Therefore, please understand that if you participate in the program, by accepting a ride from or giving a ride to a fellow congregant, you are voluntarily participating in the Mitzvah on Wheels program and Temple Beth Shalom. By participating in the program, you are voluntarily assuming the risks that are inherent in this type of program. In no event will Temple Beth Shalom or Mitzvah on Wheels be liable for any injuries, damages or losses that may arise from your or other individual's actions, inactions, or negligence.